I will be in contact via the email address provided on how to claim your prize. Thank you to everyone that entered. Christmas is just around the corner, and you all know that it’s my favourite time of year. 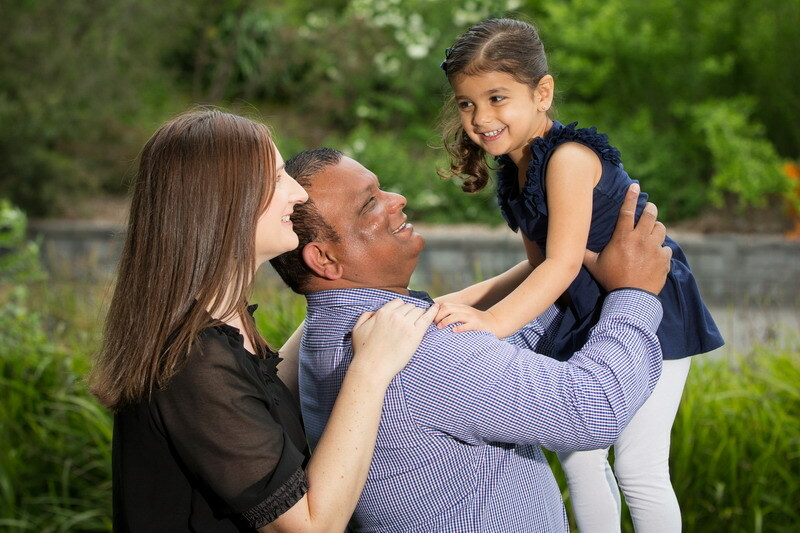 I love our families getting together, having a laugh, sharing food and drinks, making special memories and the joy we see in our children just makes this time of year so special. I also love putting up the Christmas tree and decorations with my daughter, writing out our Christmas cards, writing letters with my daughter to Santa and wrapping presents together. I love late night shopping and all the festivities that come along with Christmas. I also love to giveaway different products and experiences, so if you’re keen on a giveaway, keep reading. Not sure what to get your loved ones this year? Well here’s a short guide to my top 7 Christmas Ideas and a few giveaways. Good Luck. Looking for an unforgettable gift to give that special someone? 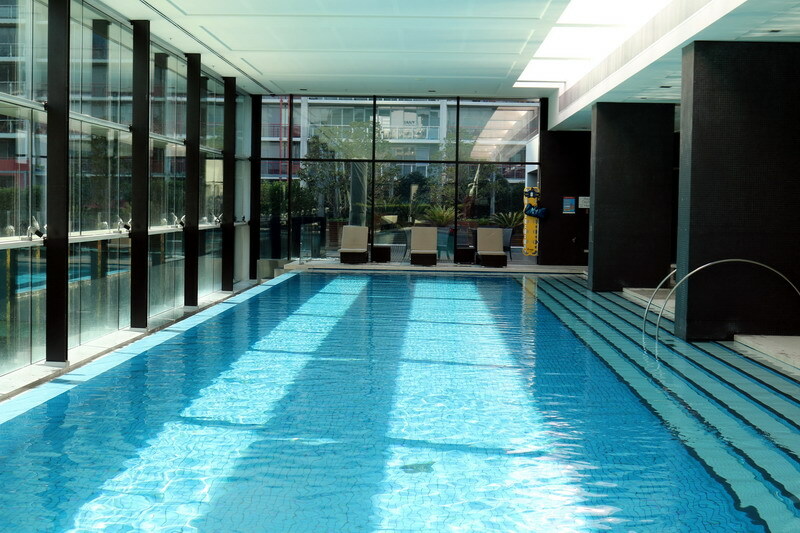 Then look no further than a gift card from Crown Hotels to either the Crown Promenade or the Crown Metropol Hotel in Melbourne. Super stylish, super sophisticated and it definitely won’t disappoint. We will be celebrating the Festive Season at Crown, hope to see you there. With all the Christmas events and parties coming up, make sure your nails are in top condition with the beautiful range of nail polishes from Miss Frankie. Created by professional manicurist and salon owner Kara Jeffers, Miss Frankie nail polish is made in Australia and utilises an innovative five-free formula – that means it doesn’t contain the common toxic ingredients found in many varnishes – that also allows penetration by air and water. The result is healthier, happier nails. Plus, they’re safe to use when pregnant or on kids who like their fingers to have a little colour. The range is also cruelty free and vegan. These products would make a great Christmas present and would also be fantastic as stocking stuffers. For your chance to win one Miss Frankie Nail Polish Pack (pictured above), comment below MISS FRANKIE and why you would like to win one. This set is perfect for friends and family who are looking to unwind after the busy Christmas period with the gentle fragrance of Coconut and Tahitian Monoi Oil to provide extra nourishment to skin. 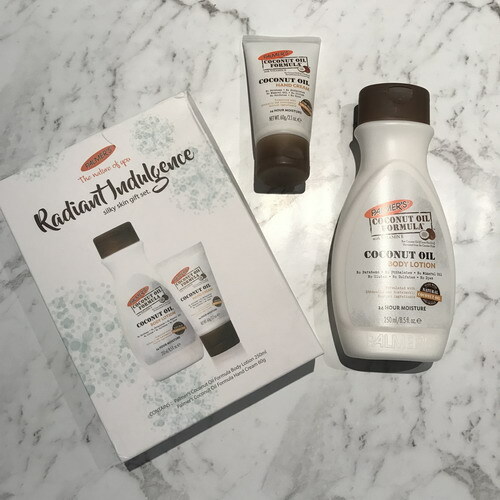 The Radiant Indulgence Silky Skin gift set provides a delectable duo of indulgent Coconut Oil products. 1x Coconut Oil Hand Cream (60g). 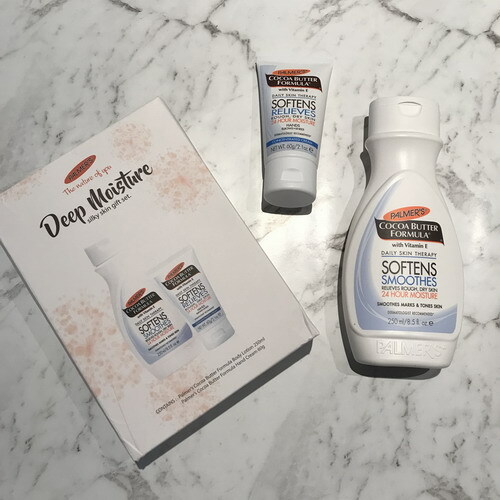 Treat your loved ones to 24-hour moisture and indulgence with Palmer’s Deep Moisture Silky Skin Gift Set. Smooth the Cocoa Butter Body Lotion from top to toe, and then apply the rich, concentrated cream to areas that need a little extra nourishment for perfectly soft, hydrated skin. 1x Cocoa Butter Hand Cream (60g). Get glossy this Christmas season with Palmer’s irresistible Lip Butters. 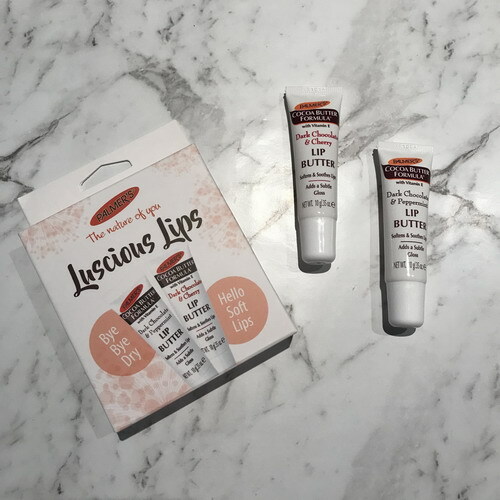 The Luscious Lips duo offers two delectable flavours; Dark Chocolate & Peppermint and Dark Chocolate & Cherry to keep lips soft and nourished, perfect for under the mistletoe! 1 x Dark Chocolate & Peppermint Lip Butter 10g. 1 x Dark Chocolate & Cherry Lip Butter 10g. Be sure to get your hands on one or all of these indulgent gift packs for your loved ones of yourself this Christmas. Let me know which one you liked best. It’s simple, elegant and stylish: it’s the new Miss Journey! Each emblematic detail of the new Miss Journey collection makes it an instant classic. 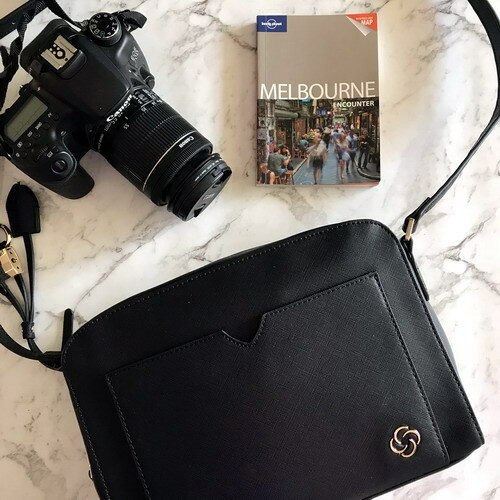 This bag is perfect for my phone, passport, wallet, mints and holiday planner. 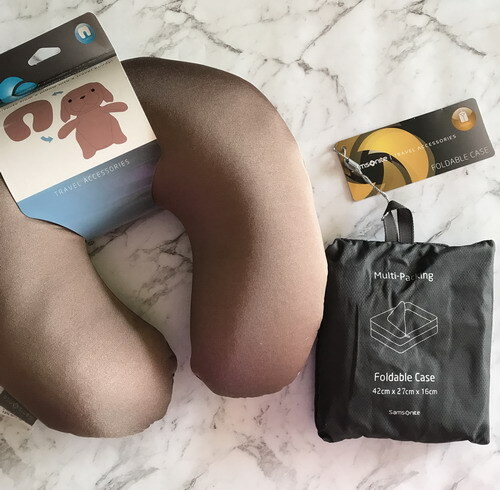 Whether it’s a plane trip or a car trip this festive season, the new Samsonite Travel Buddies transform from bean pillow to cuddly character in seconds! It makes the long journey for the kids so much more fun, as well as comfortable. These are one of my favourite travel products of all time. They help you pack efficiently, answering every demand of the modern traveller. These accessories were created to simplify your life on the move, around the world. If you haven’t tried these, you don’t know what you’re missing. For your chance to win one Scunci gift pack (pictured above), comment below SCUNCI and why you would like to win one. The Natural Vitamin Co. embodies a philosophy for producing nutrient rich vitamins that are chemical free and filled with all-natural goodness. The supplements are 100% natural, containing real raw ingredients such as organic kale, organic holy basil extract and organic lemon peel extract. There are eight products in The Natural Vitamin Co. range which are all vegan, raw, gluten free and GMO-free, with naturally sourced ingredients to support a balanced lifestyle and help individuals to feel healthy. The Natural Vitamin Co. wants to promote that ‘food is medicine’ by letting their ingredients shine. Many of the vitamins currently available on the Australian market have been made from synthetic materials and have gone through chemical processing. The Natural Vitamin Co.’s entirely new approach to vitamins provides Aussies with the benefits of an all-natural option when it comes to their vitamin consumption. Each product from the range will be available exclusively online and in-store at Chemist Warehouse from Wednesday 3rd October, 2018. 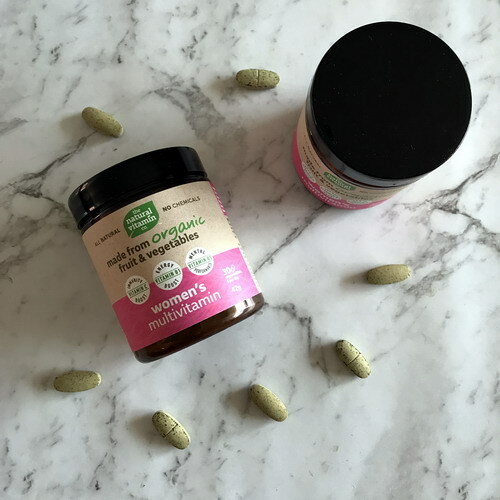 For your chance to win one of The Natural Vitamin and Co. Women’s Multivitamin packs (pictured above), please comment below MULTIVITAMIN and why you would like to win one. The competitions go live on Saturday 1st December 2018 and will close on Monday 10th December 2018 at 12pm. 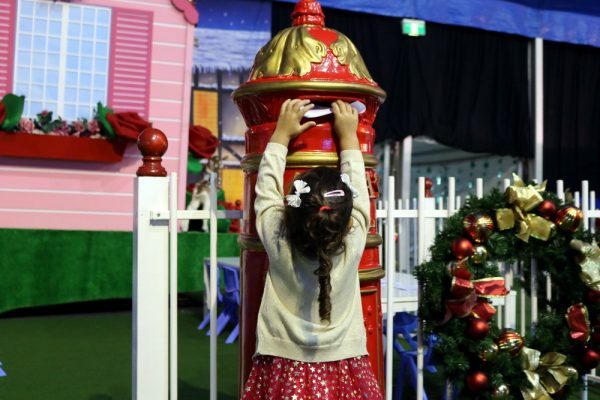 The competition is open to Victorian residents only. Winners will be announced on Tuesday 11th December and will be notified via email and on the website. All details will stay private to Christine King. Good Luck. I have finally stopped biting my nails and they are growing. Miss Frankie prize might see them looking stunning and help them stay strong. Miss Frankie. These are beautiful and I would love to win them for myself. I have two daughters who absolutely love looking in the mirror to admire their hairdos. This would help me tame their wild hair. Miss Frankie. Oh so divine. Multivitamins. Definitely needed at this time of year. I would love to WIN the Multivitamins to help keep healthy. Scunci. My daughter would love these products for Christmas. Thanks for the opportunity. Miss Frankie Nail Polish. OMG. Divine. Multivitamins would be great for my body. Scunci. I love these hair products for me for Christmas. Miss Frankie. These look so pretty. Love the colours. Miss Frankie. I adore these products. Perfect for Christmas. Multivitamins. Definitely needed for December. 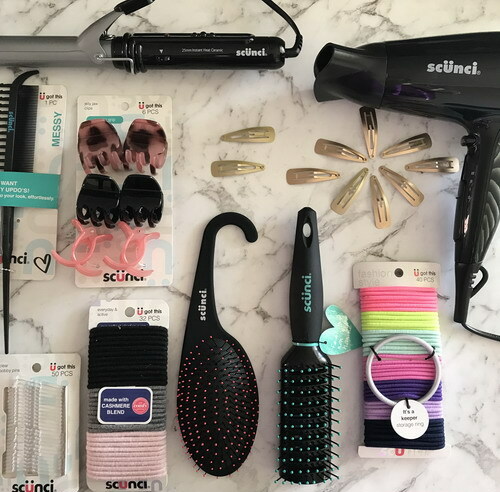 My daughters would love the Scunci products. They look so pretty. These would make great Christmas gifts for my daughter. These are amazing products that I already use and would love to stock up. I would love to win Miss Frankie as my nails are in need of something fine. These look perfect for the festive season. Multivitamins are good for the New Year. Loving the products from Miss Frankie. So stylish. These are so pretty and I would love tomWIN these for myself. Miss Frankie is so divine. Scunci. These products are fantastic for Christmas. Multivitamins are so good for this time of year. I adore Miss Frankie nail polishes. One of my favourites. Scunci are my favourite hair products. Scunci products for my little sister for Christmas. She would love it. I would love to WIN Miss Frankie for myself. Love the products. I would love to win the Multivitamins for my mum for Christmas. Scunci. Great products and so stylish. Scunci. I love all their fantastic products. Thanks for the opportunity Christine. Miss Frankie are the best products. Miss Frankie. These look so sweet. I would to win Miss Frankie and take them to my grandmas nursing home and do her nails for Christmas. She would really enjoy that.